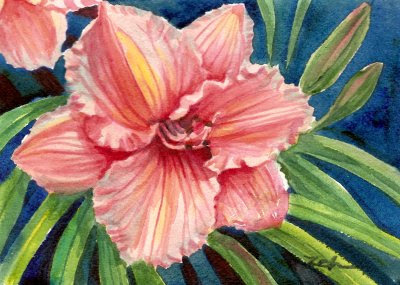 This is such a delicate and lovely color for a daylily. I love the ruffled edges which make it all the more festive. Not all my daylilies are blooming just yet, but the early ones are, and buds are forming on the others. It won't be long before the garden is full of yellow, orange, coral and pink colors!